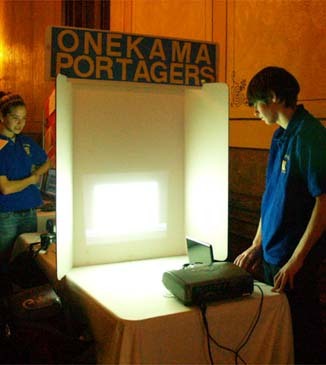 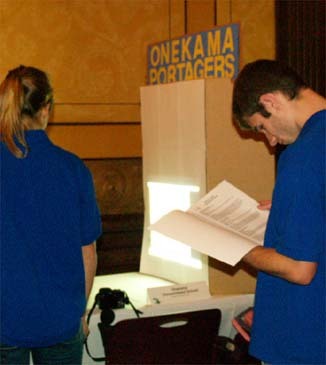 On November 10, four Onekama High School students traveled to Lansing to present at the 2010 MACUL Student Technology Showcase. 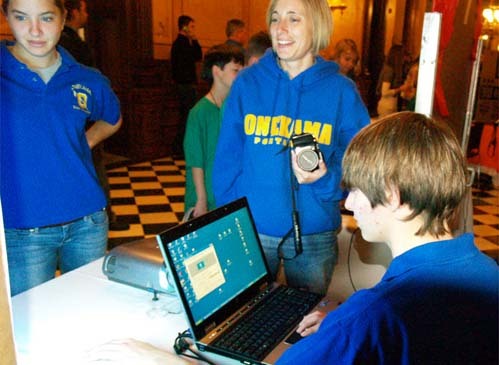 OHS Juniors Jaylee Brown and Lindsay Nesburg, Seniors Travis McKenney and Ryan Pienta, along with Onekama teachers Nicole Torrey and Bonnie Brown, made the trip to Lansing armed with laptops and excitement to share what they have been working on with other students and educators. 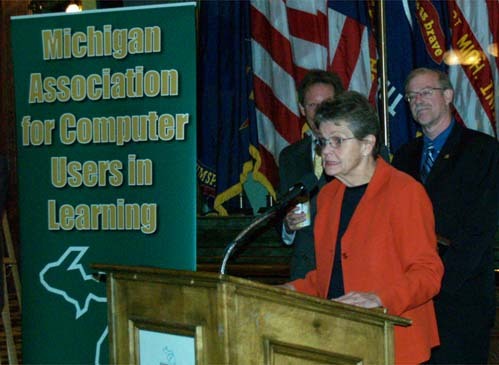 The Michigan Association for Computer Users in Learning (MACUL) is non-profit organization dedicated to bringing educators together to share their knowledge and concerns regarding educational uses of computers and technology. 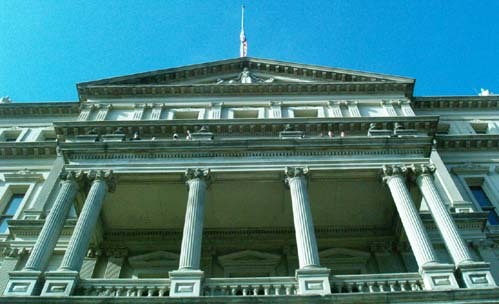 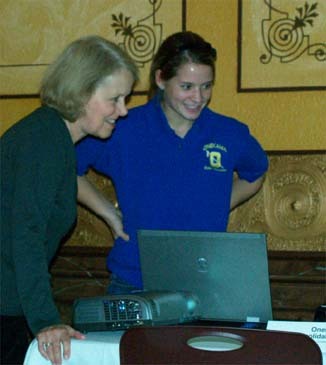 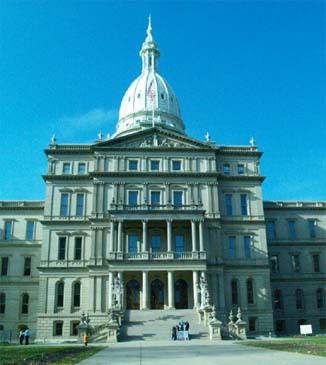 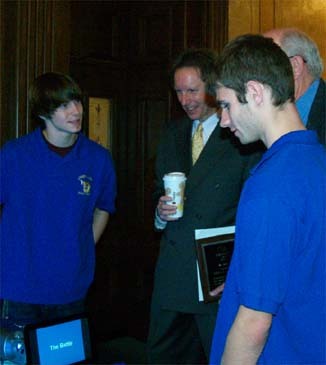 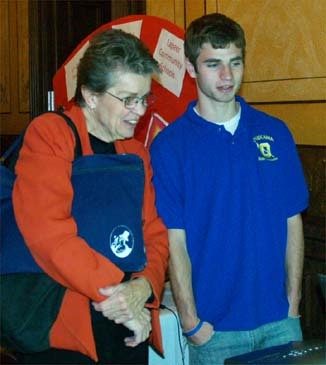 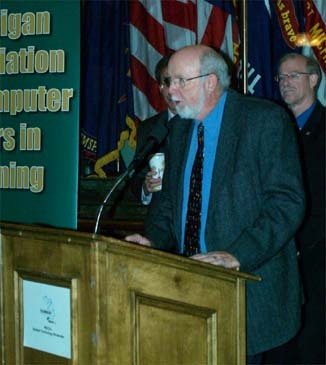 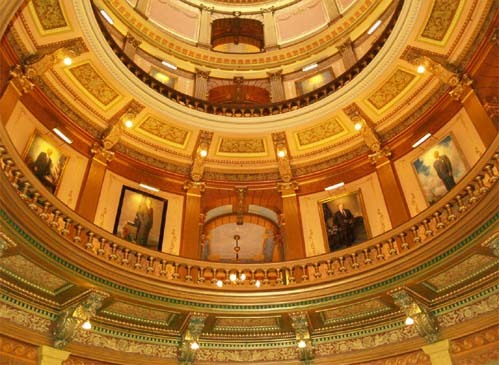 MACUL has presented a Student Technology Showcase at the Michigan Capitol Building every year since 2001. 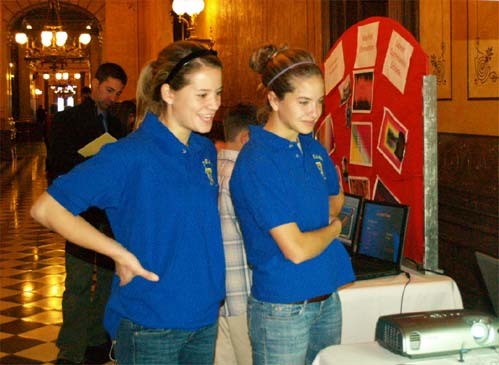 At the Student Technology Showcase, 50-60 teams of K-12 students are invited to show legislators how technology is used in the classroom. 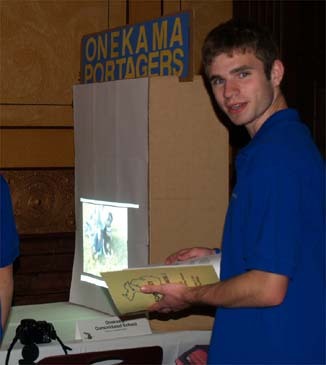 Onekama High School was selected to present at the conference and share the ways technology has strengthened their curriculum. 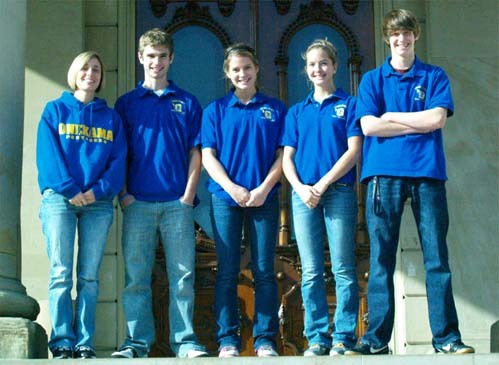 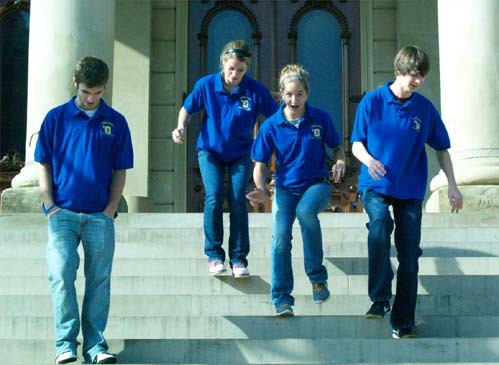 Onekama teacher Nicole Torrey and OHS students Ryan Pienta, Lindsay Nesburg, Jaylee Brown, and Travis McKenney stand on the steps of the capitol building in Lansing at the 2010 MACUL Technology Showcase.